Dr. Patel was such a good dentist. All of the staff is so friendly and puts a smile on your face.They treat you like family. Dr. Patel makes you feel comfortable with the treatments that they do so you won't be surprised or scared. I didn't feel painand leftfeeling better than before. Dr. Patel was such a good dentist. All of the staff is so friendly and puts a smile on your face. They treat you like family. Dr. Patel makes you feelcomfortable with the treatments that they do so you won't be surprised or scared. I didn't feel painand leftfeeling better than before. I don't really like dentist visits but Dr.Patel was so friendly and really easy to work with. In fact all ofthe dental team was great. They really made myappointment great. I left with a superstar smile and nothing but good things to say about Jefferson Dental. I don't really like dentist visits but Dr.Patel was so friendly and really easy to work with. In fact all of the dental team was great. They really made myappointment great.I left with a superstar smile and nothing but good things to say about Jefferson Dental. 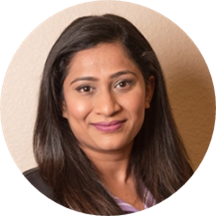 Parita Patel is a dentist serving the community of Houston, Dallas, Katy, Irving, Arlington, Carrollton, Pasadena, Grand Prairie, Watauga, Lewisville, Hurst, Denton, Garland, Farmers Bench, Fort Worth, and Plano, TX. Dr. Patel attended New York University, where she received her dental degree. She also completed her bachelor's degree at Dr. D. Y. Patil Dental College and Hospital in India. Dr. Patel is a part of Jefferson Dental Clinics. She is a member of the American Dental Association and the Indian Dental Association. Dr. Patel has participated in many volunteer activities, including voluntary service at Sant Hirdaram Charitable Medical Centre in India. Dr. Patel helps patients receive the treatment they need. During her consultations, she explains patients’ conditions and helps them choose an appropriate treatment plan. They were very friendly and answered all of my questions. This will be my new dentist. My visit was amazing! I highly recommend. I really liked my dentist visit with Parita Patel. She was so caring and nice. I brought my daughter too and she had a good visit with Dr. Patel. The staff was so friendly too, everyone made us feel welcome andthey explained every thing including price. I come back for a bridge in few weeks and I am looking forward to it. Would recommend.